It’s always fun when we have a connection with a couple before we even work with them! 2 ½ years ago, we photographed Jennah’s brother TJ’s wedding to his bride, Holley. 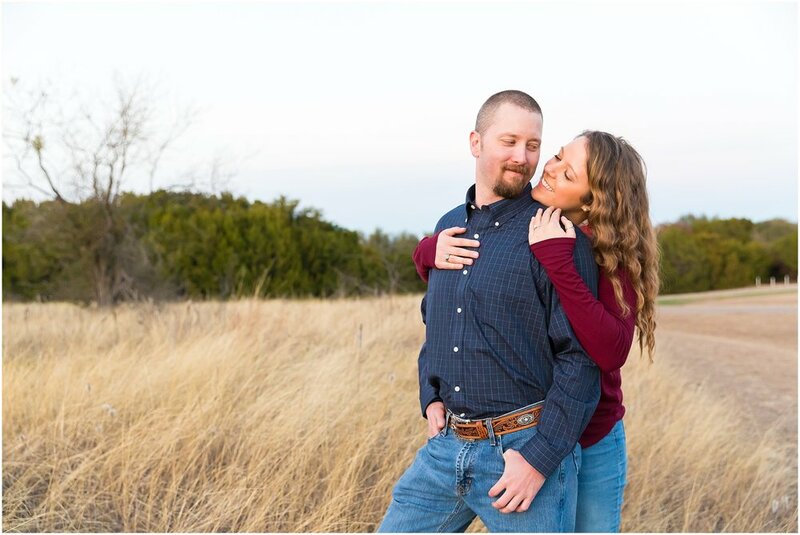 We got to know Jennah too since she was one of Holley’s bridesmaids, and we connected again when she came to help TJ & Holley’s son laugh when we photographed him in the bluebonnets this past year. 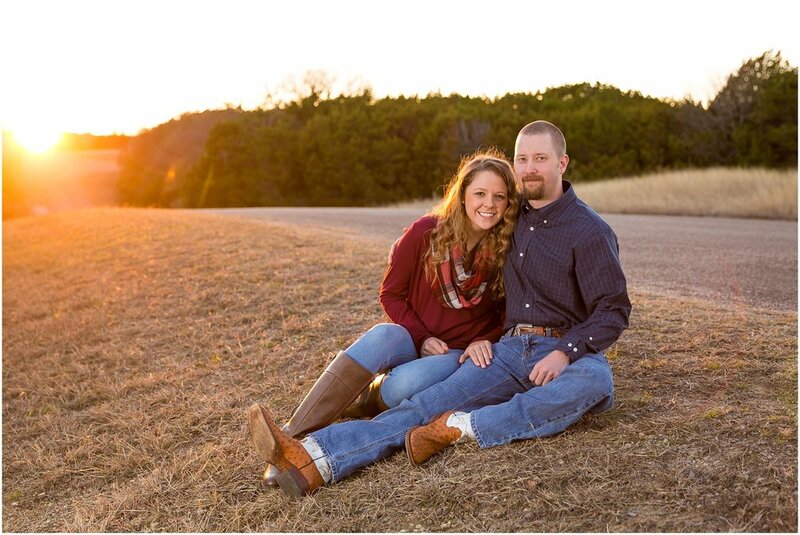 So when Jennah reached out to us to say she had found her forever Sweetheart and was planning her wedding, we were so happy to get to work with another member of the Goedeke family! Jonathan asked Jennah to marry him this summer while on vacation with her family. As they started wedding planning, Jennah’s mom thought it would be so fun to have a Christmas wedding. But being a school teacher Jennah didn’t think she’d have enough time to plan a December wedding once school started. She and Jonathan chose July 2019 for their wedding, but still wanted to keep a Christmas vibe. So Christmas in July became the theme of their wedding! And with such a great theme, we knew it’d be fun to have their engagement portrait session during Christmas break to tie it all together. 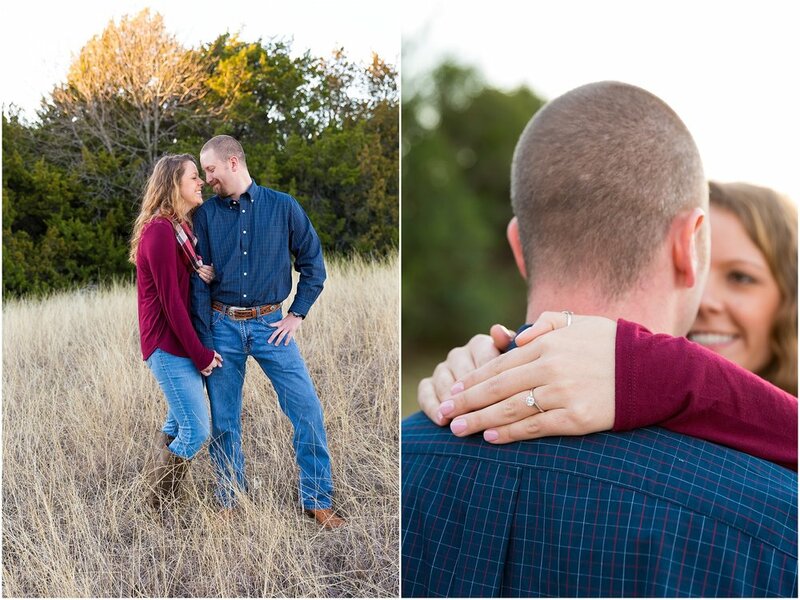 So Jonathan & Jennah met us the Friday before Christmas for some engagement portraits right before sunset. Jennah had a vision for her and Jonathan wrapped in Christmas lights near a barn wall, so we chose the Carleen Bright Arboretum as our first stop. It felt full circle, because the Arboretum was TJ & Holley’s wedding venue and where we first met Jennah in 2016. 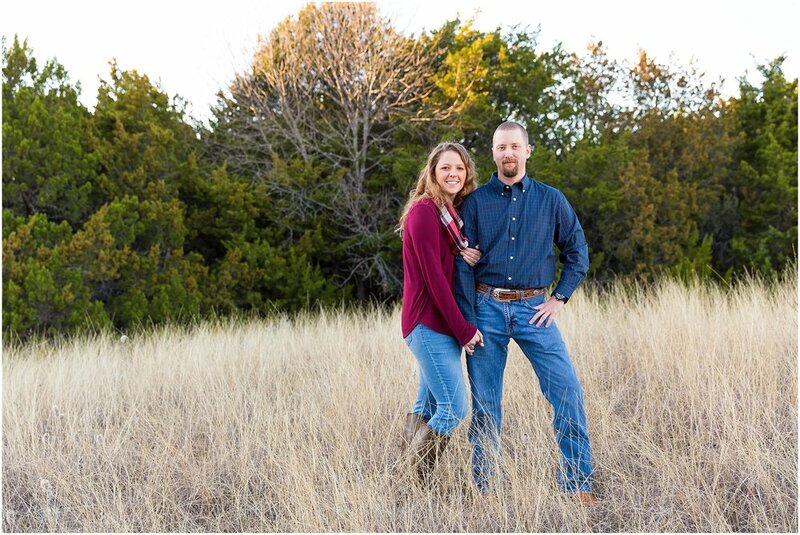 It was neat to meet back at that location, this time for Jennah’s portraits with her groom-to-be. We got some great portraits of them wrapped in Christmas lights (which by the way, get really warm when wrapped on your body!) and then headed to Woodway Park. Waco doesn’t exactly provide a winter wonderland and there was no snow for their session, but we really liked how the trees resembled Christmas trees. 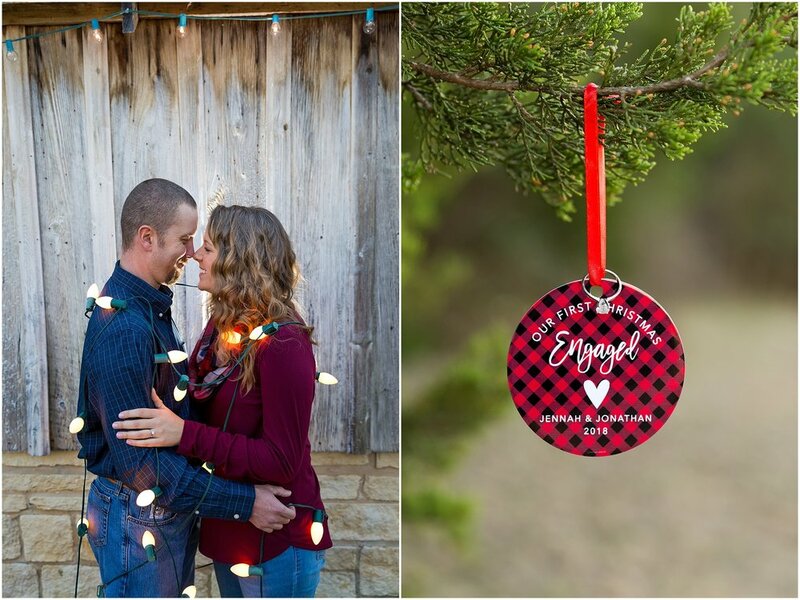 They were the perfect backdrop for the session, and made for a great place to hang Jenna’s ring on their cute ornament. 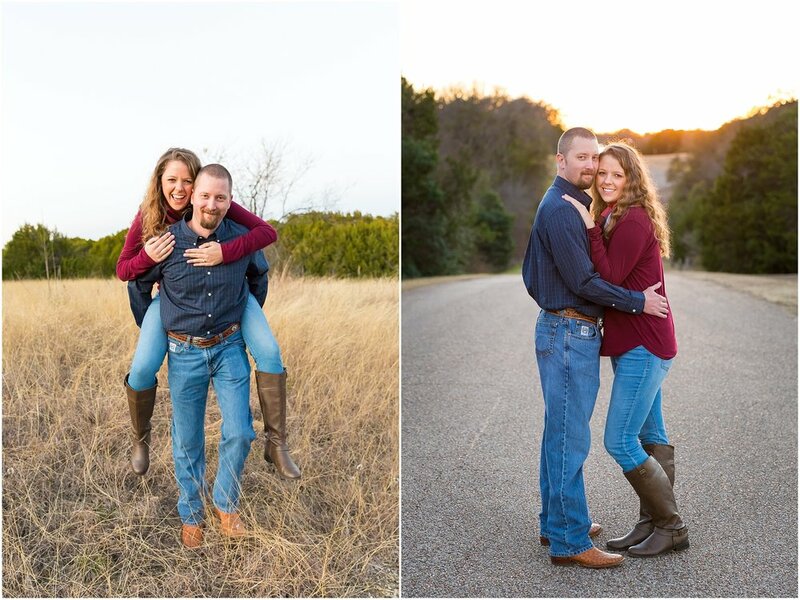 Photographing Jonathan & Jennah for their engagement portraits was a fun way to get ready for Christmas, and we can’t wait to feel all Christmas-y with them again at their wedding in July! We are so excited to have you two as Sweethearts! We hope your first Christmas together as fiances was wonderful, and that you are looking forward to all the Christmases together to come!